Our foods made with pure and fresh materials. The meats, the horticultural, the wine and the olive oil are from the around villages and mountains of region. You can try also our pizzas and various foods that are cooked in our wood furnace that it gives separate flavour, as well as various relishes cooked in the coals. Plakias is a splendid resort that is found between two gorges of Koyrtalioti and Kotsifou. The beautiful natural landscape which offers relaxation to the visitor in the beautiful beaches and entertainment in the bars and in coastal cafeterias. 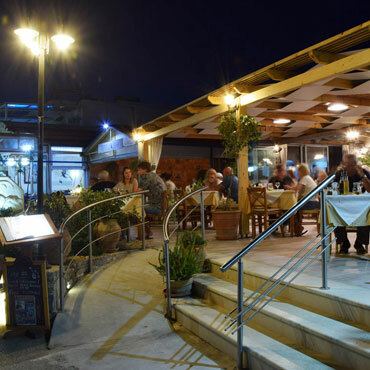 The evening you can enjoy your food in familiar and beautiful environment in the coastal taverns of Plakia or still in those that are found in the around villages. Later you can enjoy in the bars and in nightly shops that are found in the region.